Repair Aid » Help » Cooking Appliances » Gas Cookers Or Electric Cookers: Which Are Best? 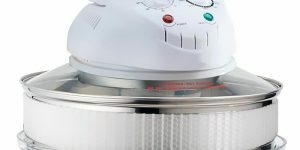 Gas Cookers Or Electric Cookers: Which Are Best? If you go with a gas cooker, then you’re going to notice a difference in your energy bills. This is due to the fact that (for now) gas is cheaper than electricity. Gas is also great for hobs. The level of control when it comes to heating food, and the instantaneous heat of a gas flame, makes it the best choice for hob cooking. The heat gets spread out more evenly across the pan or pot, meaning you don’t have to stir your food as much due to the heat being better distributed to all corners of the utensil. The installation of gas cookers can be quite tricky, and requires a Gas Safe registered (previously ‘Corgi registered’) engineer to perform the task. This will add more money onto your installation cost in comparison to an electric cooker. They are also a lot harder to clean than their electric counterparts. This is because of the burners having to be raised, as well as the awkward pan supports. 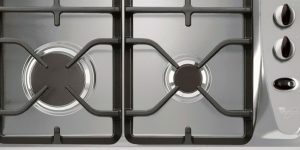 As a result, food and dirt can tend to get stuck or trapped in gas hobs. By comparison, induction or ceramic hobs are flat, making them easier to clean. Despite the heat distribution of gas hobs being very good, the same can’t be said for gas ovens. Gas ovens with fans are more expensive. 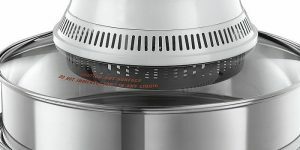 Without a fan, gas heating has a harder time of circulating heat around a contained area – leaving gas ovens hotter towards the top rather than the bottom shelf. While you can use this temperature difference to your advantage, especially if you have two foods requiring different temperatures, it isn’t a good idea for those who like making batches of food, or those with a big family to feed. Many of the disadvantages of gas cookers are, unsurprisingly, the advantages of electric cookers. For example, oven temperature is far more even in an electric oven than a gas counterpart. With that being said, there are a lot of poor quality electric ovens out there that may even perform worse than a gas cooker in this aspect – so make sure to consult online reviews. Electric hobs are also, as previously mentioned, easier to clean. Electric induction hobs tend to offer the fastest cooking times too. If you like grilling things, then go with an electric cooker. Studies have shown that electric grills are better at giving food an even browning than gas-powered grills. Lastly, some electric ovens are multifunctional. This means you can cook with two different heating functions at the same time – such as using the grill and the fan simultaneously. One aspect of electric hobs that can go against them is that they stay warm after being switched off. While this seem handy if you need to quickly heat something up again, gas hobs already have this covered with an instant on/off state. An electric hob that stays hot after you’re finished cooking can pose a risk to inquisitive kids or pets. It also means that if you switch off the hob with a dish still on there, it will likely keep cooking the dish for quite some time. Finally, one disadvantage of electric cookers is that they can cost more to run than their gas counterparts. With that being said, you will save on installation costs – especially if you use an affordable electric cooker installation company such as Repair Aid. Keep in mind that there are also dual-fuel cookers – offering a gas hob alongside an electric oven and grill. However, they do tend to be more expensive and there are some bad models out there. Make sure to read online reviews to ensure you aren’t over-paying for a dud. So in the war of which is best, both gas and electric cookers have their clear advantages and disadvantages. It’s up to you to decide what is best for your lifestyle, home and budget. If your appliance is in need of a repair, please contact our friendly customer service team and we will assist you in any way we can. 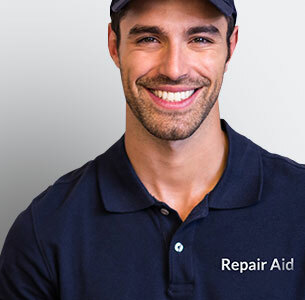 Repair Aid® is a registered trademark of Repair Aid London Ltd. Repair Aid London Limited is a company registered in England and Wales with company number 08352485. © 2013 - 2019 Repair Aid London Ltd. All rights reserved.